Feminism and fashion are like peanut butter and jelly right now (or maybe Nutella and a spoon, but you catch my drift). Given that Cara Delevingne fronted DKNY's men's ad, and that the last Chanel show was a feminist protest, I was eager to see what kind of female empowerment Karl Lagerfeld had in store for us at this year's spring runway show. And boy, he did not dissappoint. 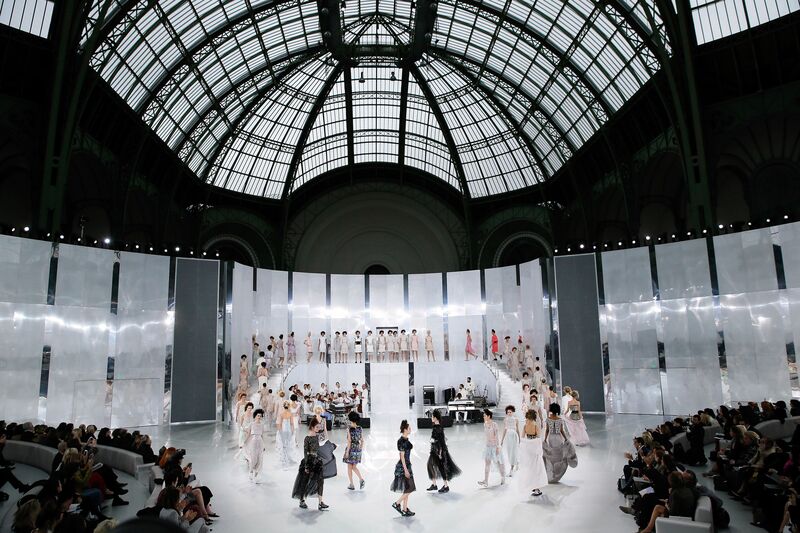 Chanel's spring 2015 show was a garden party, and Lagerfeld sent male gardeners sauntering down the runway. And yes, there was a Chanel watering can. For Tuesday's show, the runway was turned into a vibrant, fragrant greenhouse with blooming flowers and tropical foliage, and even though the couture was, as per usual, nothing short of fantastic, and the female models were immaculate, I think the clear jewels of the show were the couture flower boys. Male models, including Lagerfeld's muse Baptiste Giabiconi, walked the runway alongside the ladies (because you can't have a garden without someone to prune it, of course), clad with giant bouquets of exotic flora, and even a Chanel watering can, which Giabiconi proceeded to water the set with. Totally channelling the character and all. The men wore capri khaki trousers and straw sun hats, which in actuality are probably way too luxe for gardening, but they sure do work a runway. This year, female models walked men's fashion week, breaking gender bounds, but so far, it looks like women's fashion week is all about the ladies. The men are just there to carry the watering cans.